Andriy Kovalenko is Senior Research Officer at the National Institute for Nanotechnology, and Adjunct Professor in the Department of Mechanical Engineering at the University of Alberta, Edmonton, Canada. He earned his PhD degree (1993) in Theoretical and Mathematical Physics from Lviv State University, Bogolyubov’s Institute. Dr. Kovalenko has been developing methodology and software implementation of statistical-mechanical, molecular theory of solvation, coupling it with electronic structure theories, molecular simulations, and docking protocols in a platform of predictive multiscale theory and modeling of chemical, supramolecular, and biomolecular systems for new advances of a general framework of multiscale methods. His focus is development of theoretical methods capable of predicting the behaviour of nanosystems. He proposed the statistical-mechanical 3D molecular theory of solvation (a.k.a. 3D-RISM-KH), which bridges the gap between electronic structure, atomistic simulations, and system functioning. He self-consistently coupled 3D-RISM-KH with embedded/Kohn-Sham DFT in a multiscale description of electronic structure in solution. He coupled 3D-RISM-KH with molecular dynamics (MD) and coarse-grained dissipative particle dynamics (DPD) simulations for complex macro/supramolecular systems in solution. He developed molecular theories for electrochemistry of electrolyte solutions sorbed in nanoporous materials and mass transport of solutions in confined geometries. He applied these methods to predict the properties of various realistic nanosystems and processes: electronic and solvation structure and thermodynamics of complex molecular liquids, solutions, solid-liquid and liquid-liquid interfaces; supercapacitors and electrosorption cells; chemical reactions and nanocatalysis in solution; polymers melts and solutions; nanoparticle transport across liquid interfaces; self-assembly, conformational stability and aggregation of supramolecules and biomolecules in solution. Alexander Levin is an Leading Research Scientist at All-Russian Research Institute for Optical and Physical Measurements | FSUE VNIIOFI Moscow, Russia. Giovanni Dondi dall’Orologio, doctor in Medicine at the University of Bologna in 1969, achieved the post graduated title of specialist in dentistry. He was Assistant Professor in 1973 and Associate Professor from 1983. Head of the Division of Conservative Dentistry from 1973 to 2014. Director of the Master in Clinical Dentistry with advanced technology from 2003 to 2014. He experimented new technology with a spectrophotometer: this led to the development of a new machine for reading the color of composite restorations in vivo. He has published more than 75 papers in reputed international journals. His research interest is Efficacy of desensitizing systems:a RCT.and The treatment of NCCLs with composites: a RCT. Sergey Mikhailovich Afonin (Ph.D.) now is an Associate professor of Department of Intellectual Technical Systems of National Research University of Electronic Technology (Moscow Institute of Electronic Technology MIET). A graduate of the National Research University of Electronic Technology MIET, engineer in Electronic Technology 1976. Degree Ph.D. in Electronic Technology Engineering and Control Systems received in National Research University of Electronic Technology MIET 1982. Academic title of Senior researcher received in MIET 1991. Aspirant MIET 1976–79, junior researcher MIET 1979–82, senior researcher MIET 1983–93, associate professor at MIET since 1993 to present time. The contribution: more than 200 scientific papers to professional publication. Recipient Silver medal and two Bronze medals VDNKH Russia. Gerd Kaupp has studied Chemistry at the University of Würzburg, Germany and completed Post-doctoral studies at Ames, Iowa, Lausanne, and Freiburg universities, where he became an Associate Professor. He was a Full Professor at the University of Oldenburg in 1982. He served as a Guest Professor for three international universities. He is now a retired member at the University of Oldenburg and pursues his scientific interests also with consulting. His expertise are in chemical kinetics, laser photochemistry, waste-free benign syntheses and productions, solid-state chemistry, reactive milling, atomic force microscopy AFM, scanning near-field optical microscopy SNOM, standardization in nano-mechanics and bionics. Chemical kinetics, laser photochemistry, waste-free benign syntheses and productions, solid-state chemistry, reactive milling, mechanochemistry, atomic force microscopy AFM, scanning near-field optical microscopy SNOM, nanoscratching, nanoindentation, standardization in nanomechanics, bionics and solid-state and environmental chemistry. Yongfang Li is an academician of Chinese Academy of Sciences and he is currently leading a research group. He is an Professor of Suzhou University. Polymer solar cell photovoltaic materials and devices and conductive polymer solar cells. Profile: Dr Antony is an Associate Professor at the School of Chemical and Process Engineering, University of Leeds. His primary research interest is in the area of Particulate Mechanics and Physics, especially on the bulk behaviour of powders and grain under industrial process conditions as a function of particle-scale properties. He performs a number of inter-disciplinary research projects including in the area of biosensing of human eye. He uses a wide range of computational tools such as DEM, FEM, theoretical and experimental procedures in his research. He has obtained the prestigious MIT Young Researcher Fellowship Award for Exemplary Research in Computational Mechanics. He has made several publications in reputed international journals and conference proceedings. He serves as a member of editorial boards for many international journals in his filed including Journal of Nanotechnology and Research Letters in Nano Technology. Also, he serves as a regular referee for several international journals, including Physical Review Letters and Physical Review E. He has served as a guest editor for the Jl. Granular Matter and the lead editor of the book ‘Granular Materials: Fundamentals and Applications’, published by the Royal Society of Chemistry, London in 2004. He is a member of many professional bodies worldwide. Multiscale Modelling and Experiments, Nano Mechanics, Micro Mechanics, Granular Materials and Powder Technology Mechanics of Space Materials and Design of Space Exploration Devices, Sensing Stresses in Human Eye , Building Structures from Wastes, Diversity in Engineering and Inter-disciplinary Research. 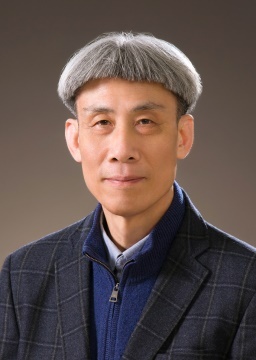 Myung Chul Chang has completed his PhD at the age of 36 years from Seoul National University and postdoctoral studies from University Illinois at Urbana Champaign. He is the director of Biomaterials Lab. He has published more than 50 papers in reputed journals and has been serving as an editorial board member of repute. Thomas Prevenslik developed a theory of QED based on QM. By this theory, heat absorbed by NPs is deposited almost entirely in their surfaces because of high surface-to-volume ratios. NP atoms are therefore placed under high EM confinement over nano-scale wavelengths that by the Planck law of QM precludes the atoms from having the heat capacity to conserve heat by changes in temperature. Instead, EM confinement converts the surface heat into standing EM radiation inside the NPs, any NP quantum states having lower transition frequencies than the standing EM radiation frequency are indirectly excited with emission to the surroundings. In the instant topic of nanotoxicology, the emission of standing EM adiation at UV levels damages nearby DNA and by scrambling genes establishes the causal link to diverse human health problems. Jean-Paul Lellouche leads a laboratory dedicated to Nano-biotechnology and Polymer Science. His current R&D activities include “R&D developments in the materials science field nterfacing with nano-biotechnology, i.e., conducting functional polymers; chemically modified hard nanoscale fillers; UV-photo-reactive nano(micro)particles [surface nano(micro)structuration of polymeric coatings, hybrid metallic catalytic particles]; antibacterial organic/inorganic NPs and coatings and; innovative surface modifications of iron oxide (magnetite/maghemite) NPs towards gene silencing (siRNA/microRNA in vitro/in vivo delivery) and anti-parasitic bio-activity”. Recently, he deeply focused on and elaborated various innovative organic chemistry-based methodologies for the development of effective covalent versatile interfacial chemistries towards chemically tailored non-toxic mechanically hard functional inorganic: Tungsten disulfide nanotubes and; tribology-effective fullerene-like tungsten disulfide nanoparticles. María E Dávila research focuses on “The synthesis and characterization of low-dimensional materials with special emphasis on semiconductors”. Her interests include “Determining the structural and electronic structure of those materials”. She has expertise in “The use of synchrotron radiation techniques to explore the physics and chemistry of low-dimensional materials”. She completed her PhD in Condensed Matter Physics at University Auronoma of Madrid in 1996, followed by a Post-doctoral fellowship at University of Uppsala and KTH in Sweden. Isabel Montero is currently a Professor at Spanish National Research Council (CSIC), Madrid, Spain. She is the Head of Group Surface Nano-structuring for Space and Terrestrial Communications, Materials Science at Institute of Madrid (ICMM-CSIC), Madrid. She is also Director of Spanish Laboratory on secondary electron emission, CSIC. Jiangtao Cheng completed his Bachelor’s degree in Applied Physics at Peking University in 1991; Master’s degree in Computer Science at Purdue University in 2002 and; Doctorate degree in Physics in 2002. In 2007, he accepted an offer from the Teledyne Scientific Company (formerly Rockwell Science Center) as a Research Scientist III for the next four years. He returned to academia in 2011 as an Associate Professor at University of North Texas. In 2015, he joined Department of Mechanical Engineering at Virginia Tech as an Associate Professor. His areas of expertise include: “Sustainable energy and renewable energy; optofluidics and electrofluidics; microfluidics and nanofluidics; thermal-fluid science and heat transfer; thermal management and microelectronics cooling”. Recently, he introduced surface plasmon resonance and terahertz technology in his research in thermal-fluid science. Sustainable energy and renewable energy; optofluidics and electrofluidics; microfluidics and nanofluidics; thermal-fluid science and heat transfer; thermal management and microelectronics cooling. Vera I Isaeva is a leading Researcher at National University of Science and Technology MISiS, Moscow, Russia. Her activity is focused on “The development of nanostructured materials including MOFs and composites on their basis, from synthesis to application, especially for energy saving processes. She has coauthored over 100 publications in peer-reviewed journals and two book chapters. Claudia Cabella completed her Graduation in Chemistry and PhD in Biochemistry. Since 2001, she works at Centro Ricerche Bracco (CRB, Bracco Imaging SpA)being involved mainly in the field of Magnetic Resonance Imaging and Optical Imaging. Her main skills are preparation of cell cultures and related tumoral animal models and use of MRI and OI scanners. She worked on MRI and OI projects focused on tumoral targeting with different paramagnetic and fluorescent probes and in particular, she worked as a partner in the European research project NanoAthero on a specific task aimed at identifying blood pool agents for atherosclerotic plaque stratification. Dr. Camelia Matei Ghimbeu is a researcher at Institute of Materials Science of Mulhouse (IS2M-CNRS), France. She received in 2007 her PhD from University of Metz, France and TU Delft, The Netherlands and her Habilitation in 2015 from University of Haute Alsace, France. Author of 55 articles and about 100 communications, her research interests are focused on the design of carbon hybrid materials with controlled characteristics for energy storage and environmental applications. She is animating the research axe “Carbon and Hybrid Materials” at IS2M, and she is member of French network of Electrochemical Storage of Energy (RS2E). Design of carbon hybrid materials with controlled characteristics for energy storage and environmental applications and to understand the size and confinement effects of NPs on their fundamental properties, their interactions with carbon network and on the performances in the energy storage and environmental applications. Masaru Matsuo has completed his Ph.D. at Kyoto University in Japan and he was a professor of Nara Women’s University. After his retirement, he becomes a professor of Dalian University of Technology in China. He has published about 200 papers in refereed journal articles. He is IUPAC fellow and he received Paul Flory Polymer Research Prize on April 2010. Prof. Han-Yong Jeon, male, geosynthetics/technical organic materials researcher, graduated from textile engineering department, Hanyang University in 1979. He worked for Hyejeon College, 1982-1990 and Howon University, 1990-1992, Chonnam National University, 1992-2005 and now works for Inha University. Since 1998, he is the director of Geosynthetics Institute (USA)-Korea Directory. From 2008-2012, he worked in International Geosynthetics Society as Council member (2006~2012) and he was the 6th president of Korean Geosynthetics Society (2011~2013). Also, he is members of ASTM D35 and ISO TC221 on geosynthetics from 1998. Now he is the current 32nd President of Korean Fiber Society (2014~2015). He has published more than 782 papers in domestic and international conferences. He wrote 17 texts including \'GEOSYNTHETICS’ and also published 107 papers in domestic & international journals. He has awards of Marquis Who\'sWho - Science and Engineering in 2003~2014 and Top 100 Scientists in the World: 2005/2011 of IBC (International Biographical Centre, UK). Also, he got the 33rd Academy Award of Korean Fiber Society in 2006 and “Excellent Paper Award of 2012” by The Korean Federation of Science and Technology Societies. Manufacturing, Application and Evaluation of Technical Organic Materials Manufacturing, Evaluation, Standardization & Regulation of Geosynthetics Polymeric Geocomposites. Prof. Dr. Edward Y. Chang received his B.S. degree from Materials Science and Engineering, National Tsing Hua University, Hsinchu, Taiwan in 1977, and his Ph.D. degree from Materials Science and Engineering, University of Minnesota Minneapolis, MN in 1985. Dr. Chang was with Unisys Corporation GaAs Component Group, Eagan, MN, 1985 to 1988 and Comsat Labs Microelectronic Group from 1988 to 1992. He worked on the GaAs MMIC programs on both groups. He joined National Chiao Tung University (NCTU), Hsinchu, Taiwan, in 1992. In 1994, he helped set up the first GaAs MMIC production line in Taiwan, and become president of Hexawave Inc., Hsinchu, Taiwan, in 1995. He returned to the teaching position at NCTU in 1999. Dr. Chang is currently the Dean of Research and Development and professor of the Department of Materials Science and Engineering and Dept of Elecrical Engineering at NCTU. He is also the director of Diamond Lab and the director of NCTU-TSMC research center. His research interests include new device and process technologies for Compound Semiconductors for wireless communication and high power electronic applications.. Dr. Chang is a senior member and a DL(Distinguished Lecturer) of the IEEE Electronic Device Society. Currently his research activities include InP, GaAs based compound materials and devices (HEMT, HBT) for wireless communication and sub-milimeterwave imaging applications. GaN based materials (MBE, MOCVD) and High frequency&High power electronic (HEMT) applications. III-V/ Si integration (Ge, SiGe, GaAs, InP) for logic applications. Advanced package (Flip chip) for high frequency and power applications. Dr. Chang has received quite a few honors from Taiwan and abroad, including two times Outstanding. Research Award and Distinguished Contribution for Technical Transfer to Industry, both from National Science Council, Taiwan. National Award for Academic Contribution to Industry and Industry and Economy Contribution Award, both from Ministry of Economic Affairs, Taiwan. Distinguished Electrical Engineering Professor Award from Chinese Institute of Electrical Engineering. He is also Distinguished Lecturer of IEEE, Fellow of Taiwanese Materials Society, and Fellow of IEEE. His research interests include new device and process technologies for Compound Semiconductors for wireless communication and high power electronic applications.. Dr. Chang is a senior member and a DL(Distinguished Lecturer) of the IEEE Electronic Device Society. Currently his research activities include InP, GaAs based compound materials and devices (HEMT, HBT) for wireless communication and sub-milimeterwave imaging applications. GaN based materials (MBE, MOCVD) and High frequency&High power electronic (HEMT) applications. III-V/ Si integration (Ge, SiGe, GaAs, InP) for logic applications. Advanced package (Flip chip) for high frequency and power applications. Dr. Dimitris Drikakis is Professor of Engineering Science and Executive Dean (Engineering) and Associate Principal and at the University of Strathclyde, Glasgow (till June 2017). Since July 2017, and in addition to his continued Professorial role, Dimitris has taken on new leadership roles as Executive Director of Global University Partnerships (US and Far East), Executive Director of the Strathclyde Space Institute and, furthermore as Co-Director of a new Institute of Autonomous Systems and Robotics. Computational fluid dynamics (CFD), Fluid mechanics (particularly compressible flows), and Micro/nanoscale processes at fluid-solid interfaces. Gerd Kaupp obtained his PhD at the age of 24 from the University of Würzburg. His postdoctoral studies were at the Universities of Ames, Iowa, Lausanne Switzerland, and Freiburg Germany. He was appointed chemistry full professor at the University of Oldenburg in 1982, from where he retired at the age limit. He served as guest professor for several international universities. He published more than 300 papers in reputed journals and has been serving as editorial board member. His expertise is in waste-free benign syntheses and productions, solid-state chemistry, reactive milling, mechanochemistry, AFM, SNOM, nano-scratching, nano-indentation, and standardization in nanomechanics. Dr. Chaitanya U. Kshirsagar received the degree of Doctor of Philosophy in electrical and computer engineering (ECE) from the University of Minnesota Twin Cities with a dissertation on modeling and fabrication of low power devices and circuits using low-dimensional materials. He obtained the degree of Master of Science in ECE from University of California Santa Barbara with a dissertation on electronic transport properties in graphene, and the degree of Bachelor of Engineering in electronics and telecommunication from the Government Engineering College, Aurangabad. He also has industry internship and collaborative research experience involving leading technology companies like IBM, Agilent Technologies, and Global Foundries. His technical expertise is focused on semiconductor device design, fabrication, simulation, modeling and characterization. Currently he is working as a research scientist at Peregrine Semiconductor. His work has been cited in wide range of fields such as nanoelectronics, microelectromechanical devices, semiconductor devices, applied physics, measurement science, photonics, smart materials, sensors, computational electronics and circuit design. He serves as a reviewer for various Institute of Electrical and Electronics Engineers (IEEE), American Institute of Physics (AIP), and Institute of Physics (IOP) journals. He is member of Institute of Electrical and Electronics Engineers (IEEE), full member of Sigma Xi-The Scientific Research Society, and member of American Chemical Society (ACS). Semiconductor device design, fabrication, simulation, modeling and characterization. Prof. Han-Yong Jeon, geosynthetics/technical organic materials researcher and he was the 32nd President of Korean Fiber Society (2014~2015). He has published more than 843 papers in domestic and international conferences. He wrote 20 texts including 'GEOSYNTHETICS’ and also published 132 papers in domestic & international journals. He has awards of Marquis Who'sWho - Science and Engineering in 2003~2017 and also, he got the 33rd Academy Award of Korean Fiber Society in 2006 and “Excellent Paper Award of 2012” by The Korean Federation of Science and Technology Societies. Dr. Georges Akhras is a Professor of Civil/Mechanical Engineering at the Royal Military College of Canada, Kingston, Ontario. He joined RMC in 1987. He is a member of many technical and professional associations. Dr. Akhras is also President of Cansmart, the Canadian Smart Materials and Structures Group. His current interests include structural behaviour, computational mechanics, numerical modelling, knowledge engineering expert systems, composite materials, smart materials and structures and engineering education, and he has published many papers on those subjects. Professor Lau received his Bachelor and Master degrees of Engineering in Aerospace Engineering from the Royal Melbourne Institute of Technology (RMIT University, Australia) in 1996 and 1997, respectively. Within that period, he also worked for General Aviation Maintenance Pty Ltd, Australia, as an Engineer Trainee, and for the Corporative Research Centre for Advanced Composite Structures (CRC-ACS) Australia, as a Research Assistant designing a repair scheme for composite performs. Afterward, he received his Doctor of Philosophy (PhD) from The Hong Kong Polytechnic University in 2001. Thereafter, he was appointed Assistant Professor in 2002 and promoted to Associate Professor and Professor in 2005 and 2010, respectively. In 2015, he was appointed as Alex Wong/Gigi Wong Professor in Product Design Engineering and Associate Dean (Industrial Relation) in the Faculty of Engineering, PolyU. Currently, he is Pro-Vice-Chancellor (Research Performance and Development) of Swinburne University of Technology, Australia to look after its future research and ranking strategies. Professor Lau has received numerous research and teaching awards since 2002. His research articles have been frequently cited by his peers. He has received over 12,000 citations with the h-index of 53 (google scholar citations) to date. Several of his papers have also been ranked as the top 1 % most cited papers in WoS. Last year, he has been elected as Fellow of the European Academy of Science and Arts. He has also been elected as International Vice President of The Institution of Mechanical Engineers (IMechE) and appointed as Independent Non-executive Director of Kingsflair International (Holdings) Limited. Lavinia BALAN obtained the PhD degree from the University Henry Poincaré in Nancy, France, in 2005. Her PhD was devoted to the elaboration of an original material for the anode of Li-ion batteries. After a post doctorate in Orleans and then in Mulhouse, she joined the Department of Photochemistry (DPG) of Mulhouse in 2006 as a CNRS Senior Researcher. She opened a new field of research in this laboratory, viz. the photo-assisted synthesis of metal nanoparticles and metal-polymer nanocomposite materials. Since December 2009, L. Balan joined the Institute of Materials Science of Mulhouse (IS2M)-CNRS. She has published more than 100 scientific publications, 4 book chapters and 5 patents. Dr. L. Balan has been serving as an editorial board member for few scientific journals. Her lines of research are concerned with photochemical synthesis of metal/polymer nanocomposites and design, customization and characterization of metal nanoparticles and nanocrystals (quantum dots) suited for advanced applications in the fields of optic, photonics, plasmonics, imaging or biology. Prof. Dr. Alireza Heidari, Ph.D., D.Sc. is a Full Professor and Academic Tenure of Chemistry at California South University (CSU), Irvine, California, USA. He has got his Ph.D. and D.Sc. degrees from California South University (CSU), Irvine, California, USA. Furthermore, he has double postdocs in Project Management, Oncology, Human Cancer Tissues and Synchrotron Radiation from Monash University, Melbourne, Victoria, Australia and also in Nanochemistry and Modern Molecular Electronic–Structure Computations Theory from California South University (CSU), Irvine, California, USA. His research interests include Biophysical Chemistry, Biomolecular Spectroscopy, Quantum Chemistry, Nanochemistry, Modern Electronic Structure Computations, Theoretical Chemistry, Mathematical Chemistry, Computational Chemistry, Vibrational Spectroscopy, Molecular Modelling, Ab initio & Density Functional Methods, Molecular Structure, Biochemistry, Molecular Simulation, Pharmaceutical Chemistry, Medicinal Chemistry, Oncology, Synchrotron Radiation, LASER, Anti–Cancer Nano Drugs, Nano Drugs Delivery, ATR–FTIR Spectroscopy, Raman Spectroscopy, Intelligent Molecules, Molecular Dynamics, Biosensors, Biomarkers, Molecular Diagnostics, Numerical Chemistry, Nucleic Acids, DNA/RNA Monitoring, DNA/RNA Hypermethylation, Human Cancer Tissues, Human Cancer Cells, Tumors, Cancer Tissues, Cancer Cells, etc. He has participated at more than one hundred fifty reputed international conferences, seminars, congresses, symposiums and forums around the world as yet. Also, he possesses many published articles in Science Citation Index (SCI)/International Scientific Indexing (ISI) Journals. It should be noted that he has visited many universities or scientific and academic research institutes in different countries such as United States, United Kingdom, Canada, Australia, Scotland, Ireland, Netherlands, Belgium, Denmark, Greece, Russia, Estonia, Turkey, France, Swiss, Germany, Sweden, Italy, Austria, Hungary, Poland, Spain, Portugal, Mexico, Japan, Malaysia, Thailand, Taiwan, South Korea, China, India, Qatar, United Arab Emirates, etc. as research fellow, sabbatical and volunteer researcher or visitor and so on heretofore. He has a history of several years of teaching for college students and various disciplines and trends in different universities. Moreover, he has been a senior advisor in various industry and factories. He is expert in many computer programs and programming languages. Hitherto, he has authored more than twenty books and book chapters in different fields of Chemistry. Syne, he has been awarded more than seven hundreds reputed international awards, prizes, scholarships and honors. Heretofore, he has multiple editorial duties in many reputed international journals, books and publishers. Hitherward, he is a member of more than two hundreds reputed international academic–scientific–research institutes around the world. In addition, he is member of the Nobel committee for Chemistry. It should be noted that he is currently the President of American International Standards Institute (AISI), Irvine, California, USA and also Director of the BioSpectroscopy Core Research Laboratory at California South University (CSU), Irvine, California, USA. RESEARCH INTERESTS:Biophysical Chemistry, Biomolecular Spectroscopy, Quantum Chemistry Nanochemistry, Modern Electronic Structure Computations, Theoretical Chemistry, Mathematical Chemistry, Computational Chemistry, Vibrational Spectroscopy, Molecular Modelling, Ab initio & Density Functional Methods, Molecular Structure, Biochemistry, Molecular Simulation, Pharmaceutical Chemistry, Medicinal Chemistry, Oncology, Synchrotron Radiation, LASER, Anti–Cancer Nano Drugs, Nano Drugs Delivery, ATR–FTIR Spectroscopy, Raman Spectroscopy, Intelligent Molecules, Molecular Dynamics, Biosensors, Biomarkers, Molecular Diagnostics, Numerical Chemistry, Nucleic Acids, DNA/RNA Monitoring, DNA/RNA Hypermethylation, Human Cancer Tissues, Human Cancer Cells, Tumors, Cancer Tissues, Cancer Cells. Professor Deraz's research focuses on various aspects of solid state, surface chemistry and catalysis. One topic of research is solid-state chemistry and nano-structured materials. The second topic is surface chemistry and heterogeneous catalysis. The third topic is science and technology of advanced nano-materials. Prof Zhu’s research interests exist in advanced catalysis, gas/liquid adsorption and separation, direct carbon fuel cells and solid oxide fuel cells. His publications include one edited book, 8 book chapters, and over 220 journal papers. He holds 6 patents, 3 patents have been licensed to the industrial sponsor. He has raised a total research funding from government and industries in excess of $20 million. He is the recipient of a number of awards, including RK Murphy Medal 2013, Freehills Award IChemE 2011, 2nd place Innovator of the Year Award Global IChemE 2011, the University of Queensland (UQ) Foundation Research Excellence Award in 2007. Manufacturing, Application and Evaluation of Technical Organic Materials Manufacturing, Evaluation, Standardization & Regulation of Geosynthetics Polymeric Geocomposites etc. Liqiu “Rick” Wang received his PhD from University of Alberta (Canada) and is currently a full professor in the Department of Mechanical Engineering, the University of Hong Kong. He is also the Qianren Scholar (Zhejiang) and serves as the Director and the Chief Scientist for the Laboratory for Nanofluids and Thermal Engineering, Zhejiang Institute of Research and Innovation (HKU-ZIRI), the University of Hong Kong. He has over 30 years of university experience in thermal & power engineering, energy & environment, transport phenomena, materials, nanotechnology, biotechnology, and applied mathematics in Canada, China/Hong Kong, Singapore and the USA, and 2 years of industrial experience in thermal engineering and technology management. He has secured over 70 projects funded by diverse funding agencies and industries including the Research Grants Council of Hong Kong, the National Science Foundation of China and the Ministry of Science and Technology of China, totaling > US$20m (excluding US$ 2.2 billion for AMS project). He has published 10 books/monographs and over 370 book chapters and technical articles, many of which have been widely used by researchers all over the world, and is ranked amongst the top 1% of most-cited scientists (ESI). He has also filed 22 patent applications and led an international team in developing a state-of-the-art thermal control system for the Alpha Magnetic Spectrometer (AMS) on the International Space Station. The AMS project is headed by Professor Samuel C C Ting (Nobel laureate in Physics, MIT, USA) and is to search for antimatter, dark matter and spectra of cosmic rays. He has presented over 50 invited plenary/keynote lectures at international conferences, and serves/served as the editor-in-chief for the Advances in Transport Phenomena, the editor for the Scientific Reports, the associate editor for the Current Nanoscience, the guest editor for the Journal of Heat Transfer, the Nanoscale Research Letters and the Advances in Mechanical Engineering, and serves on the editorial boards of 20 international journals. Liqiu “Rick” Wang received his PhD from University of Alberta (Canada) and is currently a full professor in the Department of Mechanical Engineering, the University of Hong Kong. He is also the Qianren Scholar (Zhejiang) and serves as the Director and the Chief Scientist for the Laboratory for Nanofluids and Thermal Engineering, Zhejiang Institute of Research and Innovation (HKU-ZIRI), the University of Hong Kong. He has over 30 years of university experience in thermal & power engineering, energy & environment, transport phenomena, materials, nanotechnology, biotechnology, and applied mathematics in Canada, China/Hong Kong, Singapore and the USA, and 2 years of industrial experience in thermal engineering and technology management. He has secured over 70 projects funded by diverse funding agencies and industries including the Research Grants Council of Hong Kong, the National Science Foundation of China and the Ministry of Science and Technology of China, totaling > US$20m (excluding US$ 2.2 billion for AMS project). He has published 10 books/monographs and over 370 book chapters and technical articles, many of which have been widely used by researchers all over the world, and is ranked amongst the top 1% of most-cited scientists (ESI). He has also filed 22 patent applications and led an international team in developing a state-of-the-art thermal control system for the Alpha Magnetic Spectrometer (AMS) on the International Space Station. The AMS project is headed by Professor Samuel C C Ting (Nobel laureate in Physics, MIT, USA) and is to search for antimatter, dark matter and spectra of cosmic rays. He has presented over 50 invited plenary/keynote lectures at international conferences, and serves/served as the editor-in-chief for the Advances in Transport Phenomena, the editor for the Scientific Reports, the associate editor for the Current Nanoscience, the guest editor for the Journal of Heat Transfer, the Nanoscale Research Letters and the Advances in Mechanical Engineering, and serves on the editorial boards of 20 international journals. Liqiu “Rick” Wang received his PhD from University of Alberta (Canada) and is currently a full professor in the Department of Mechanical Engineering, the University of Hong Kong. He is also the Qianren Scholar (Zhejiang) and serves as the Director and the Chief Scientist for the Laboratory for Nanofluids and Thermal Engineering, Zhejiang Institute of Research and Innovation (HKU-ZIRI), the University of Hong Kong. He has over 30 years of university experience in thermal & power engineering, energy & environment, transport phenomena, materials, nanotechnology, biotechnology, and applied mathematics in Canada, China/Hong Kong, Singapore and the USA, and 2 years of industrial experience in thermal engineering and technology management. He has secured over 70 projects funded by diverse funding agencies and industries including the Research Grants Council of Hong Kong, the National Science Foundation of China and the Ministry of Science and Technology of China, totaling > US$20m (excluding US$ 2.2 billion for AMS project). He has published 10 books/monographs and over 370 book chapters and technical articles, many of which have been widely used by researchers all over the world, and is ranked amongst the top 1% of most-cited scientists (ESI). He has also filed 22 patent applications and led an international team in developing a state-of-the-art thermal control system for the Alpha Magnetic Spectrometer (AMS) on the International Space Station. The AMS project is headed by Professor Samuel C C Ting (Nobel laureate in Physics, MIT, USA) and is to search for antimatter, dark matter and spectra of cosmic rays. He has presented over 50 invited plenary/keynote lectures at international conferences, and serves/served as the editor-in-chief for the Advances in Transport Phenomena, the editor for the Scientific Reports, the associate editor for the Current Nanoscience, the guest editor for the Journal of Heat Transfer, the Nanoscale Research Letters and the Advances in Mechanical Engineering, and serves on the editorial boards of 20 international journals. Riny Yolandha Parapat is a quality scientist. Her expertise in synthesis of nanocrystal via microemulsions technique. Her great passion is to create and develop nanomaterials especially in the field of catalysis. Because she is also concerned about the environment, her research is now heading to the field of green synthesis and biofuel production. Her advanced knowledge and experience in microemulsions making her able to synthesize and design the super active nanocatalysts in a greener way. She has discovered a new method to synthesize highly active supported nanocatalysts, so-called thermo-destabilization of microemulsions. Not only is she active in doing research, she is also a Lecturer in the course of kinetic and catalysis, experimental design, process control, and plant design. Christophe graduated in 1992 from the Engineering School of Chemical Engineering (ENSIC) in Nancy (France). He received his Ph.D. in 1996 from the University Paul Sabatier in Toulouse (France). Then, he spent 18 months as a postdoctoral researcher at Rice University (Houston, TX). Since 1998, he has been a faculty member of the University of Strasbourg (France) teaching chemical engineering at the European Engineering School of Chemistry, Polymers and Materials Science (ECPM). His researches concern the development of new microfluidic-assisted polymer processes for the synthesis of architecture-controlled polymers and functional micro- and nanostructured polymer particles. In 2010 he was appointed Full Professor at the University of Strasbourg and joined in 2014 the Charles Sadron Institute (ICS) becoming one of its deputy directors. Flemming Cassee, inhalation toxicologist since 1995, is nanomaterial safety and supports government authorities by coordinating and conducting research and providing advice makers. He is professor in Inhalation Toxicology at the Institute for Risk Assessment Sciences at the Utrecht University, the Netherlands. He also leads the Inhalation Toxicology unit at the National Institute for Public Health and the Environment (RIVM) of the Netherlands. He is Editor-in-Chief of Particle and Fibre Toxicology,President Dutch Society of Toxicology and President of the Inhalation and Respiratory Speciality Section of the USA Society of Toxicology. He also chairs the working group on Hazard Identification of the EU Nanosafety Cluster. Professor Flemming Cassee is an inhalation toxicologist at RIVM. In this position he is involved in research into adverse health effects from airborne particulate matter (fine dust) and gaseous components (e.g. ozone, nitrogen dioxide) in the ambient air. In addition to this, Flemming Cassee is professor of inhalation toxicology at the Institute of Risk Assessment Sciences of the Utrecht University. More recently his focus is also on the safety of nanomaterials. Catalan Institute of Nanoscience and Nanotechnology, ICN2. Prof. Pedro Gomez-Romero (Ph.D. Chemistry, Georgetown University, USA, 1987, with Distinction). Full Professor and Group Leader of NEO-Energy lab at ICN2 (CSIC), Sabbatical at the National Renewable Energy Laboratory, USA (1998-99). Vicedirector of MATGAS Technological Center (2010-2013). Leads projects on Nanomaterials for energy storage and conversion (lithium batteries, supercapacitors, graphene, flow batteries, solar-thermal energy, nanofluids). Author of more than 200 publications. Scientific editor of the books "Functional Hybrid Materials" P. Gómez-Romero, C. Sanchez (Eds.) (Wiley-VCH 2004) and “Metal Oxides in Supercapacitors” (Elsevier, 2017, D Dubal , P. Gomez-Romero) (in preparation) and author of three award-winning popular science books. Member of MRS, ECS, ISE, EuroScience and the Royal Society of Chemistry, Fellow of the Royal Society since 2014. Materials for energy storage and conversion, supercapacitors, batteries, graphene, hybrid nanocomposite materials and electrodes, nanofluids. Dr Alain DEMOURGUES is working at ICMCB-CNRS-UPR9048 since october 1993 as Research Fellow. He became Research Director at CNRS in october 2008. He received IBM-France award in 1993 (Young scientist in Materials Science) and SFC (Société Française de Chimie) award in 2003 (Solid State Chemistry division). He is consulting scientist since 1998 at RHODIA-SOLVAY in the field of Solid State Chemistry, Redox and opto-electronic properties. Prof. Jordi Arbiol graduated in Physics at Universitat de Barcelona (UB) in 1997, where he also obtained his PhD (European Doctorate and PhD Extraordinary Award) in 2001 in the field of transmission electron microscopy (TEM) applied to nanostructured materials. He was Assistant Professor at UB. From 2009 to 2015 he was Group Leader at Institut de Ciència de Materials de Barcelona, ICMAB-CSIC. Since 2013 he is Vice-President of the Spanish Microscopy Society (SME). Since 2015 he is the leader of the Group of Advanced Electron Nanoscopy at Institut Català de Nanociència i Nanotecnologia (ICN2), CSIC and The Barcelona Institute of Science and Technology (BIST). He has been awarded with the 2014 EMS Outstanding Paper Award, the EU40 Materials Prize 2014 (E-MRS), listed in the Top 40 under 40 Power List (2014) by The Analytical Scientist and the PhD Extraordinary Award in 2001 (UB). Dr. Daniel Choi received his B.S. in Metallurgical Engineering from Seoul National University (South Korea) and Ph.D. in Electrical Engineering from UCLA. Dr. Choi was a staff member for three years at the Aerospace Corporation and a task manager Jet Propulsion Laboratory (JPL)/NASA for nine years, leading a number of space-related projects such as Phoenix and Mars Science Laboratory project. He was an associate professor and director of the Materials Science and Engineering (MSE) program at University of Idaho (USA). Currently, he is Department Head of the Mechanical and Materials Engineering in the Masdar Institute of Science and Technology, Abu Dhabi, UAE. He is also a Science Team for UAE Emirates Mars Mission Program.